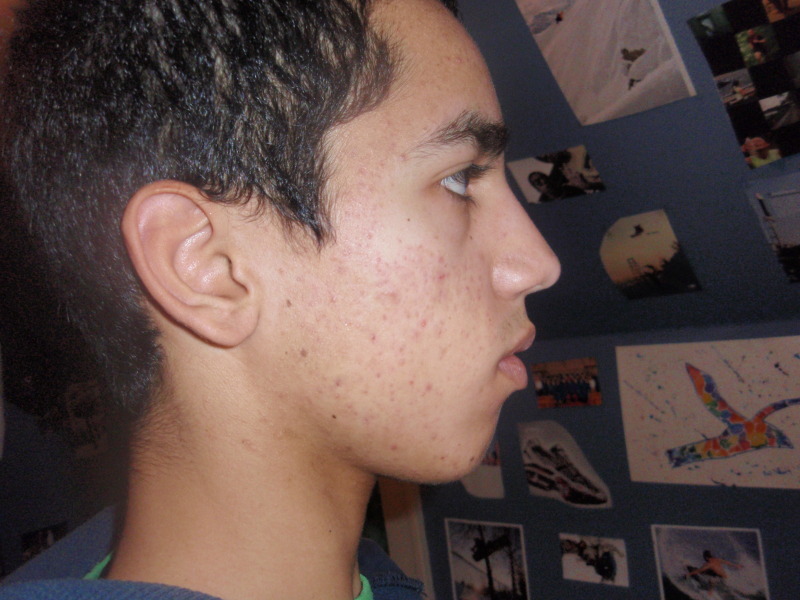 hyperpigmentation pictures need advice and opinions help!!!!!!!!! Interests: I run cross country and track, i can lay down a 4:50 mile lol and i'm just a sophomore so it'l get better. I really like sports soccer, football, basketball, running, swimming, biking, pretty much anything. I don't drink or do drugs because i finally realized how bad it is for me. I've played piano for the last 9 years of my life and mess around with the guitar when i can. But I joined this site because I have a problem that I want to go away. Like probably most everyone here acnes a distraction in my life and getting to the point now where it affects my confidence. So i hope for the best. 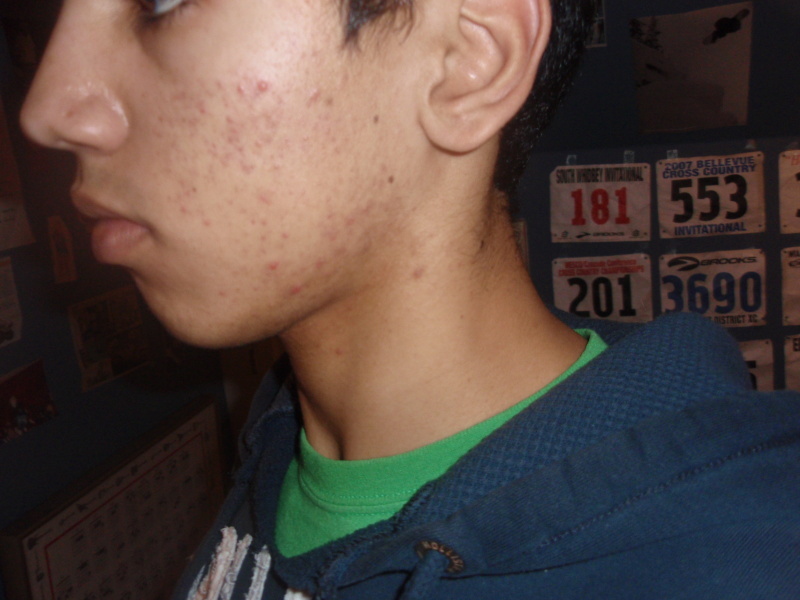 I've had acne for the past 2 years. now i only have a few new spots a week if even, but I'm left with horrible red and brown marks all over the sides of my face. About a year ago I started on minocyclene, duac topical and Retin-A topical. I also use acnefree 2.5% bp wash in the shower. Maybe it's because i don't have long hair anymore but the hyperpigmentation seems worse than ever. I'm seeing my derm in 3 days and am hoping to do some chemical peels or microdermabrasion. I've tried to wait it out and let time make these dissapear with no effect. THis depresses me 24/7 and is ruining my lifestyle. it looks to me like it's a moisturizer/exfoliant. doesn't seem like it is powerful enough to erase pigment spots. Interests: Music.<br />Reading.<br />Cooking.<br />Dancing.<br />Counter-strike.<br />Inspirational quotes & people. You can't just erase pigment spots like that. Moisturisers and exfoliants are two components to help you speed up the process. I used a glycolic acid peel (35% and increased to 60% once my skin grew immune to it) and prevent further spots/acne from developing with a medicated system. For that I use phisohex cleanser, dermalogica intensive moisture balance as a moisturiser during the day and dermalogica medicated overnight clearing gel (contains 2% Salicylic Acid and other ingredients to slow overproduction of sebum) during the night. I do a peel about once a week and now most of the pigmentation is gone. I had somewhat similiar brown pigmentation to yours, so try it. You need to be consistent though or you won't get the best results. The chemical peels are micro will do wonders! I had my first treatment and saw amazing results after. I'm going back this week for my next treatment. However, if you end up not getting it done professionally, you can always buy some Glycolic Acid online and do it yourself. if anyone else has any other ideas, suggestions, experiences, or comments feel free to post them. well my derm appointment is 2moro morning!!!! I have brown skin as well and dealing with hyperpigmentation marks like yours....currently I am using glycolic acid 30% i been using it for 2 months now and my scars faded like 10% but still are noticeable. Try products with lactic, glycolic, or mandelic acids.